Facebook is one of the most popular social networking websites nowadays. Millions of people use it to connect people in other places, and the number of its users is increasing day by day. It allows users to create their own profile, add friends and share various contents to others. Game playing is also available in this platform. You can also join groups or send messages to your friends. However, it does not have the feature for users to upload audio files to Facebook directly, which makes many users upset. In order to cope with this issue, I would like to share the detailed methods with all of you in this guidance. iPhone is quite convenient for you to make use of. If you want to share MP3 on Facebook from iPhone, you need to first transfer the audio file from iPhone to computer and then use a file hosting service to create an audio link to post on Facebook. It seems to be complicated. In fact, if you read through the following contents in this part, you will be clear enough on how to make it. For the intention to share audio on Facebook from iPhone, I recommend you use Leawo iTransfer to export the audio from iPhone to computer first. 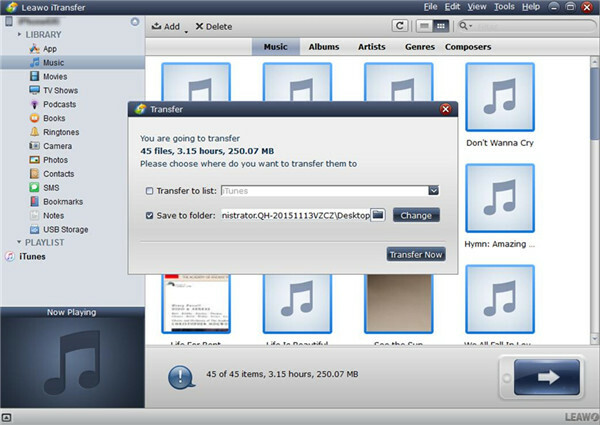 This tool is great, for it allows users to transfer files among computer, iTunes and iOS devices quite conveniently. The accurate results also attract more and more people begin to make use of it to deal with various transfer problems. Now let’s begin to see how to use it to send iPhone audio to computer. Connect iPhone with computer and then run iTransfer. The tool will detect your iPhone device and show its info in the main interface. Find the iPhone icon to click on and then navigate to “Music” tab under the menu of “LIBRARY”. All audio files will show in the right part of the window. You need to choose the audio that you desire to post on Facebook and then right click it. After that, click on “Transfer to > My Computer”. Put a checkmark in the box next to “Save to Folder” and then click on “Change” button to browse your computer to find a proper location to save the exported iPhone audio file. Afterwards, hit the button of “Transfer Now”. Wait for a few seconds, and your iPhone audio will be available on computer. After you have transferred iPhone audio to computer folder, you need to choose a file hosting service tool to assist you to create a link for the audio and then post the link on Facebook directly. Here I would like to take Dropbox for instance. The detailed steps in the following are for your reference. 1. 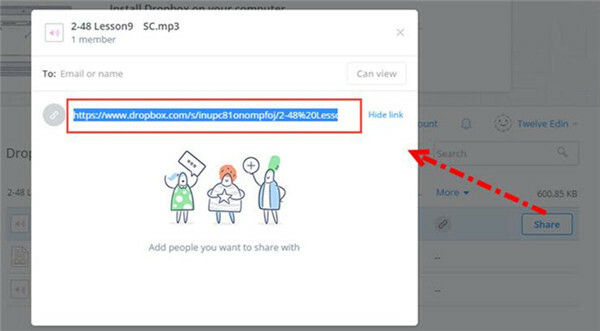 Download and install Dropbox on your computer. 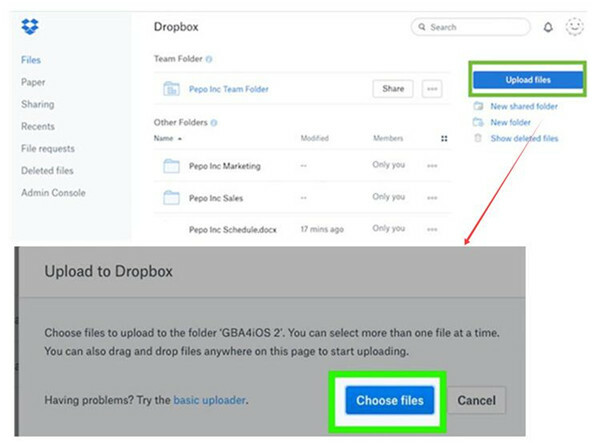 And then you need to create your account of Dropbox with the free version. If you need more space, you can try the premium version. 2. Click on “Files> Upload Files” in the interface and then hit “Choose files” button to find the iPhone audio file on computer. 3. In the panel that shows up, tap on “Start Upload” to add the iPhone audio file to Dropbox. In a few seconds, it will be accessible in Dropbox. 4. Go back to the “Files” list and you will see the iPhone audio you have just uploaded. Choose it and then click the “Share” icon in the window. After that, you will see the icon of “Create a link”. Click on it and then you will see a sharable link of the audio file. You need to copy it for later use. 5. Go to the website of Facebook and log into it with your own password. Finally, you can click on “News Feed” and then the field of “What’s on your mind” to choose “Paste> Post” button to realize your goal to fix how to upload MP3 to Facebook from iPhone. You can also send the audio link to your friends via messages or attach it on your profile to make it unique as well. This process seems to be time-consuming, but in fact, it will only take you a few minutes. Refer to the steps shown above to have a try and then you can master this method easily. 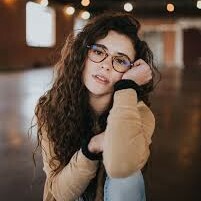 As we all know that some songs on the Internet can not be downloaded, but you can make use of a tool to record the music online and then post it on Facebook with a link. 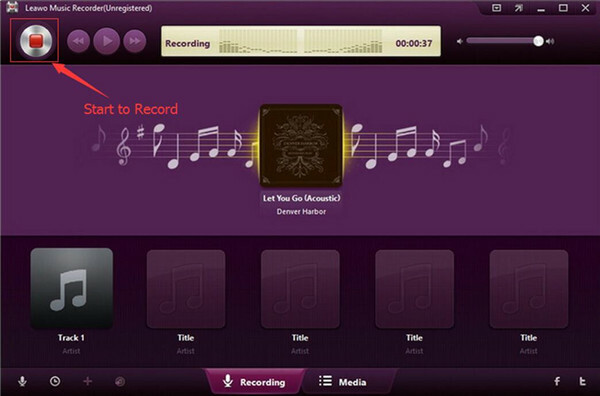 Leawo Music Recorder is the best choice for you to record computer audio or input audio to WAV or MP3 file. Its interface is quite user-friendly, and you can learn how to handle it quickly with proper instructions shown below. In order to deal with how to post a song on Facebook, first you need to record it with Leawo Music Recorder and save it to the local folder on computer. 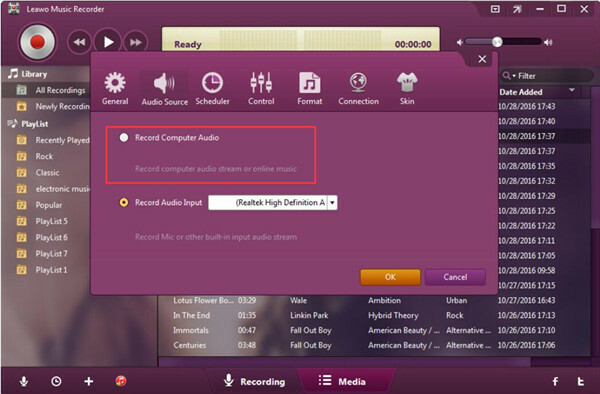 Launch the software on computer and then check “Record Computer Audio”. 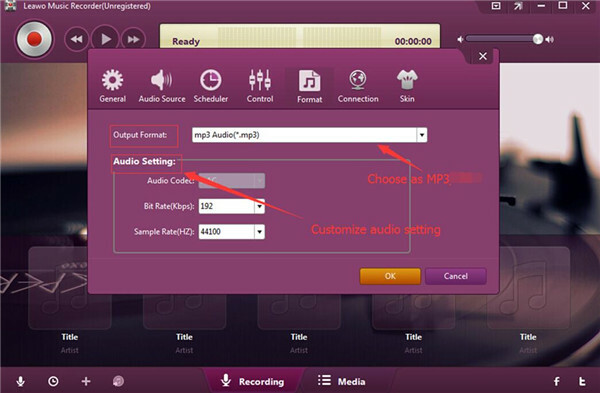 Click on “Format” and then choose “Output Format: mp3 Audio (*.mp3)”. If you need, you can also set the audio code, bit rate and sample rate. 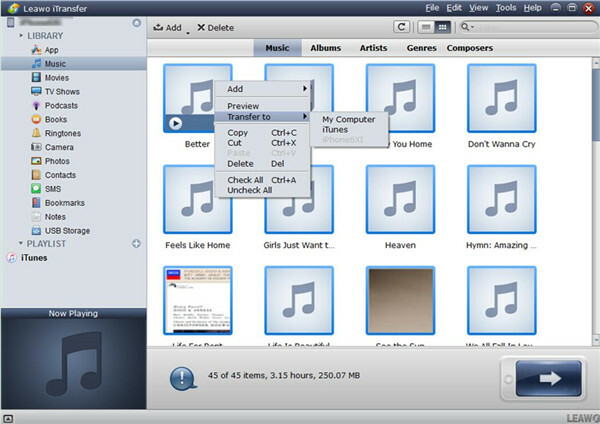 Hit “General” and choose a folder and proper language to save the recorded music. Move to the main window of the software and then click on the red button. You need to playback the online music at the same time. Thus, the program will record the song. 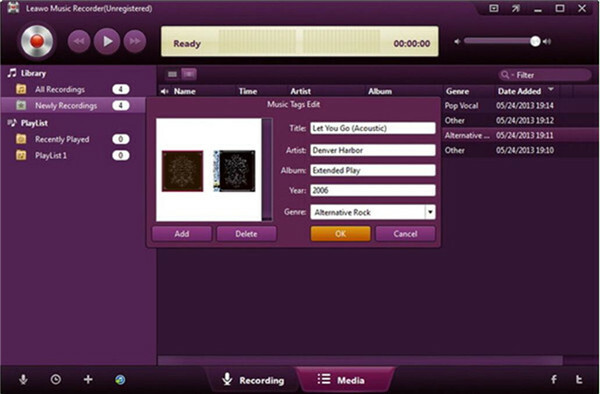 When the song is over, the recorded music will be available on computer folder. If you want to edit the recorded music, you can right-click on it and then make use of the panel of “Music Tags Edit” to change or add tags manually. After you get the recorded music, you can refer to Part 1.2 to post the MP3 file on Facebook. Thus, the issue of how to post MP3 on Facebook will be settled perfectly. The two parts have shown you the detailed solutions to the problem of how to post audio on Facebook. If you have any other transfer or recording demands, you can also resort to iTransfer or Music Recorder for reference.